Cuties are ready to celebrate Canada 150 on July 1 with ukulele players of all ages at the City of Coquitlam’s big birthday bash! Join us between noon and 6pm for some singing and strumming! We will be having an outdoor jam all day and be giving free ukulele lessons to all guests wanting to try their hands at a fun and happy instrument. Students earn certificates for participating in the ukulele lessons! Come also for the multi-colour ukulele hand stamps, too! 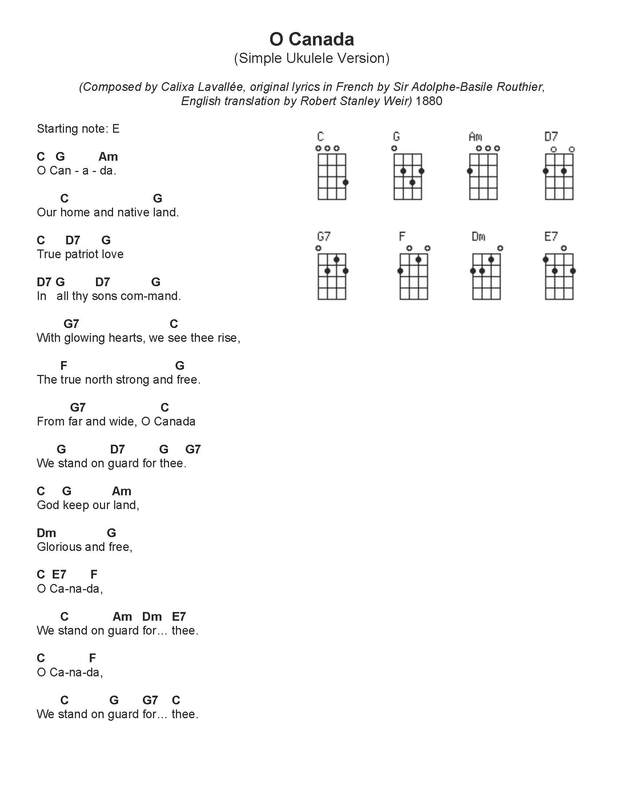 Learn to play “O Canada” on the ukulele with us! Come with a song to perform! Our booth will be located on the Community Drive near the basketball courts. Look for the tent that has lots of ukuleles, flower leis, music stands and happy smiles! See the map below for the location of our tent. Limited parking will be available. Event-goers are encouraged to walk, bike, carpool or use ​skytrain. A free bike valet service will be available. Ride the SkyTrain’s Evergreen Extension to the Lafarge Lake – Douglas Station, it provides direct access to Town Centre Park. This entry was posted in Blog, Events, Posts and tagged ウクレレ, Birthday Bash, Canada 150, Canada Day, Celebration, Community Drive, Coquitlam, Coquitlam Town Centre Park, 烏克麗麗, 高貴林, Free Ukulele Tutorials, 우쿨렐레, Jam, ukelele, Ukulele, 尤克里里, 乌克丽丽 on June 28, 2017 by cutiecircle. This Canada Day, we will have some fun activities for all Cuties and friends: a community parade with ukuleles, free mini ukulele tutorials, and a ukulele jam. 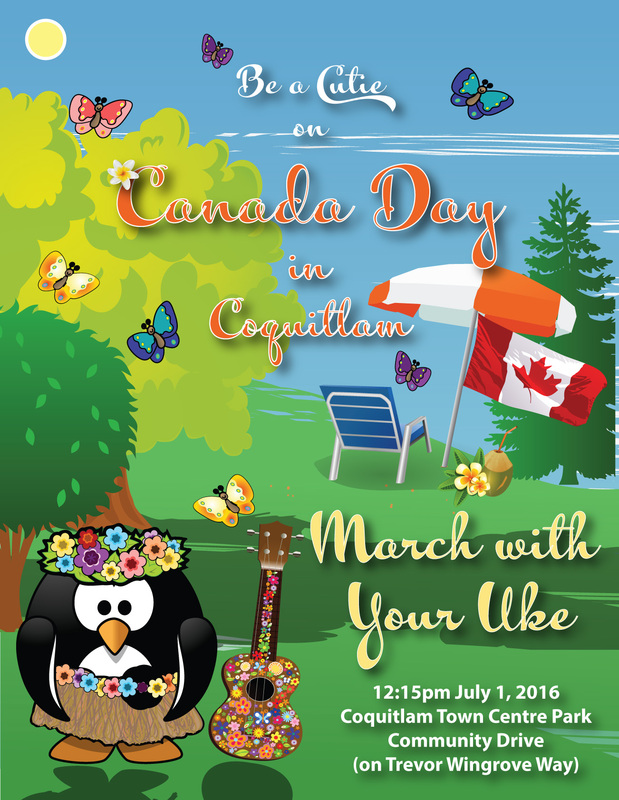 The march will happen at 12:15pm at the Coquitlam Celebrates Canada Day event in the Coquitlam Town Centre Park. Let’s make this the largest ukulele march on July 1 again! Come and strum “O Canada” during the parade. Here’s the simple ukulele version. At our tent (located on the east side of Trevor Wingrove Way) from 1:00pm onwards, Cutie volunteers will be giving free mini ukulele tutorials to visitors. Send your aspiring ukulele friends along for some fun. We can always use more volunteers. At 5pm, we’ll have our ukulele jam (and practice). Everyone is welcome to join us. Join us and RSVP below to participate in the march, volunteer at the booth and/or join us at the jam! See you all and Happy Canada Day! We will all meet at the Meadow Stage at 12:15pm, each group has been assigned a position and we will arrange ourselves in that order. The parade will be led by the performers on the Meadow Stage, Ache Brazil at the end of their set at 12:30. Please be ready to go by 12:15pm so that it is a seamless procession once they leave the stage at 12:30pm to start the Procession. We will be walking towards the Meadow Stage, first circling the Meadow area and then heading down the right side path around the front of the stage. The Mayor and Council, RCMP and MPs and MLAs will have chairs on the stage. See attached map. 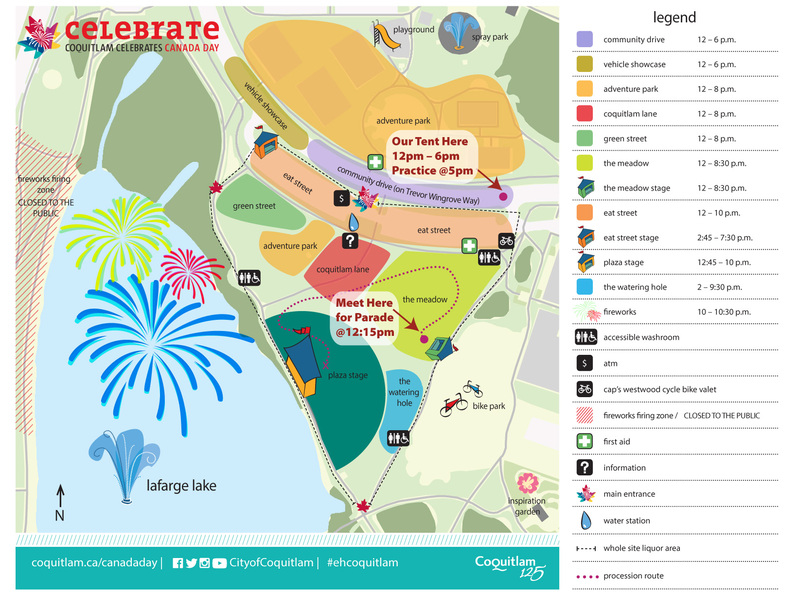 Please fill out the area in front of the stage getting ready for the singing of O Canada Day. After the singing of O Canada we will have the formal speeches ending with a ribbon cutting and cake give away. 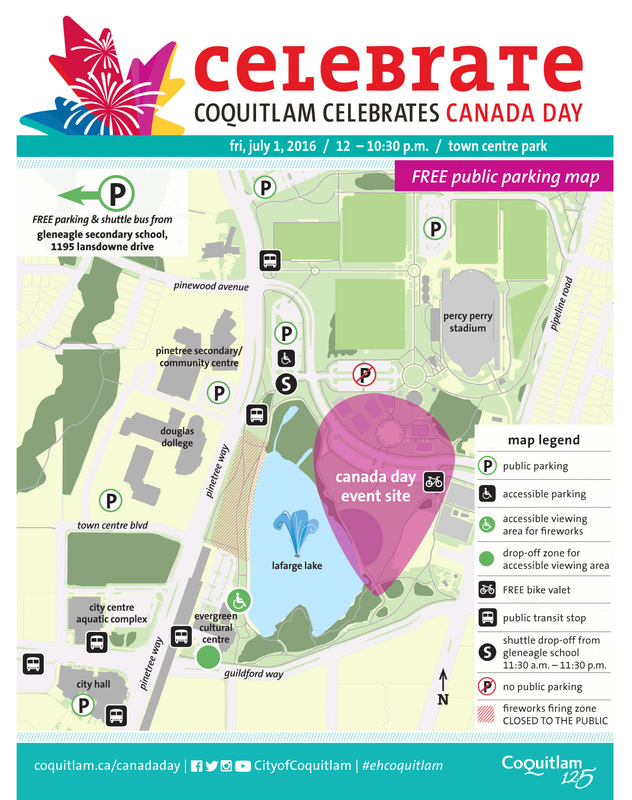 This entry was posted in Events, Posts and tagged Canada Day, Celebration, Community March, Coquitlam, Coquitlam Town Centre, 烏克麗麗, 高貴林, Free Ukulele Tutorials, Jamboree, Ukulele Jam on June 29, 2016 by cutiecircle.